Dr Martens have introduced three new versions of their classic boot featuring Peter Saville inspired designs. 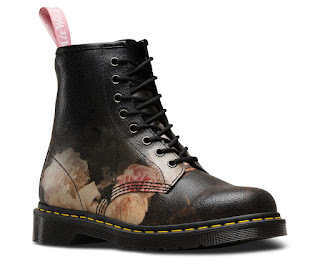 Pictures of these boots have been making the rounds on Joy Division, New Order, and Peter Saville social media fan accounts, but be rest assured these boots are no joke; they are legit available to purchase now through Dr Martens webstore. Stomp out disorder in this 1460 Unknown Pleasures. 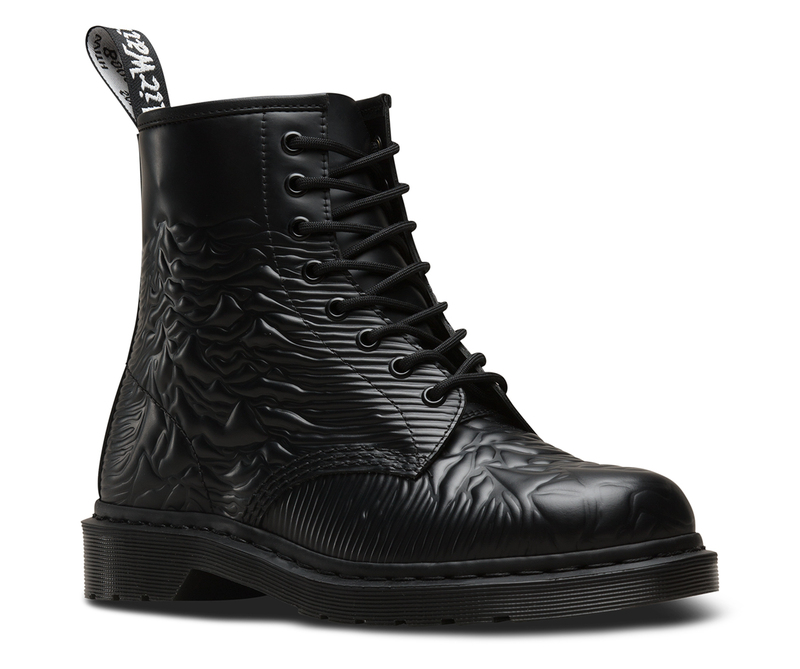 The boot features the iconic Joy Division Unknown Pleasures cover art -- a visual translation of pulsar sound waves -- embossed on the boot in tribute to the best post-punk band ever. No dream attack here; you'll run, go round and round, and have a fine time in the 1460 Technique. 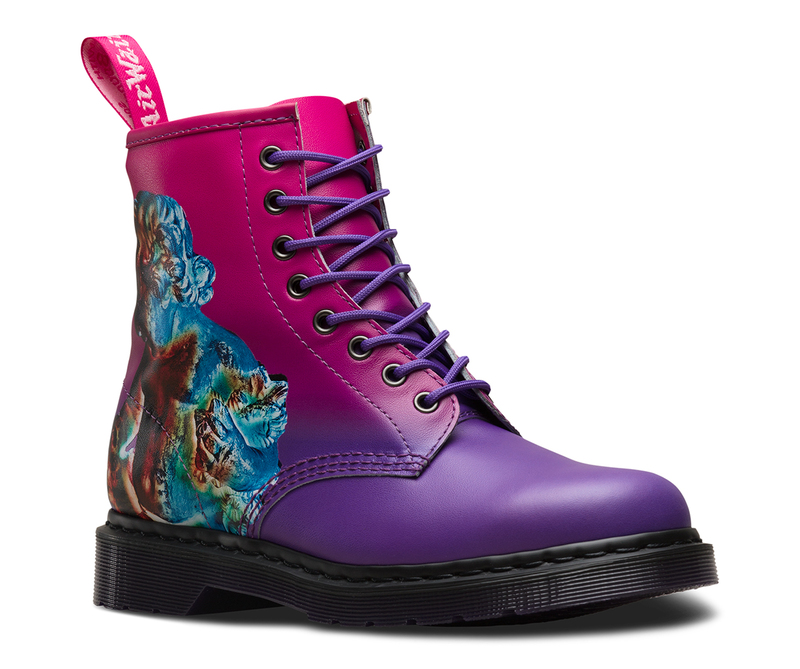 The incredibly vivid and vibrant boot features a recreation of the artwork from New Order's classic 1989 masterpiece. No one will want to leave you alone in the 1460 Power. This boot features New Order's Power, Corruption and Lies artwork on crackle-coated suede to emulate a painted canvas. Ecstasy! All three boots retail for 155 dollars U.S. and are available now.